If you are looking for windows for a sunroom, remember - sun rooms are all about the glass - from the ceiling to the floor! Ensuring you have the right sunroom windows should be one of your primary considerations. 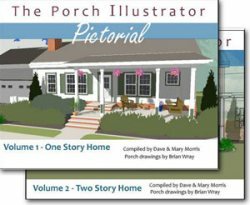 Whether you are building a custom sun room, converting your screened porch, or purchasing a sunroom kit, we have information you should see! Draft proof seals - To be energy efficient, seals are critical. We recommend you investigate Warm Edge Technology glass spacers. These non-metal spacers (they are actually all foam) eliminate thermal transfer through the window. Durable, they last much longer than typical seals. R-value The most concerning problem associated with sun rooms is ultraviolet sunlight damaging furniture, flooring, and carpeting. Ensure your windows have an R-value of 4.0 which will not only block ultraviolet light but also allow sufficient light to keep your room bright. 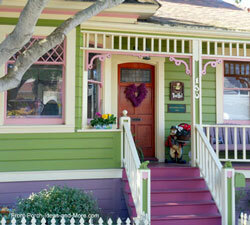 Type - Ensure your windows are meant for sun rooms; traditionally thicker and much stronger than ordinary windows. 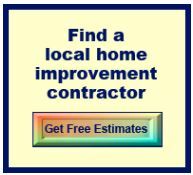 Many sun room windows are either single or double paned. 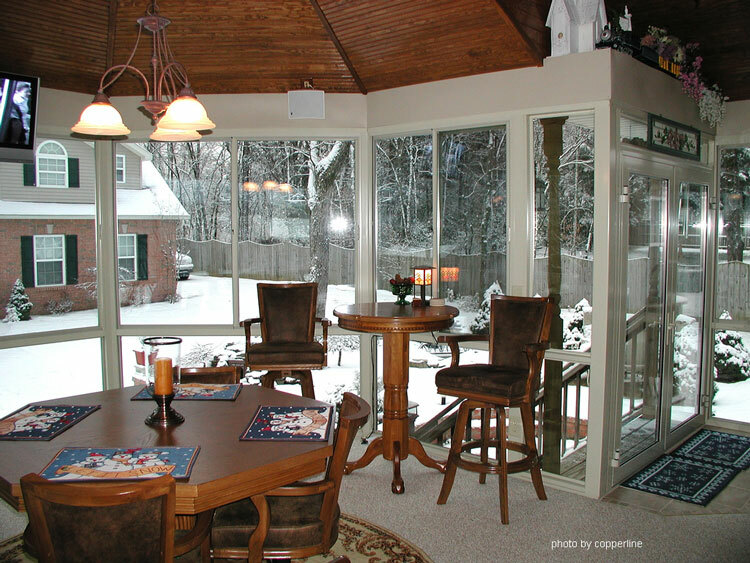 We recommend double-pane argon gas filled windows for a sunroom in most climates. This may vary by geographical area; however, they are typically the most energy efficient windows. Push-out and horizontal sliding windows are common in sunroom window options. See more types below. Glare -Select windows that reduce glare so you and your family will be able to enjoy the view! Coatings- There's lots of glass surface to keep clean. Make sure your windows are coated with a material that will resist dirt and stains. Locks- Locks should meet the AAMA "forced entry" test criteria. The American Architectural Manufacturers Association Approval Ensure your windows carry the AAMA seal of approval. Windows for a sunroom are typically 75% glass or more in frames. Choosing the right windows ensures your safety and optimizes the incoming light. Knowing the different types should help. Tempered Glass: Tempered glass will not shatter and is the type typically used for windshields. This significantly reduces injury and minimizes violent storm damage. Although more expensive, it is far stronger than other types and is well worth the cost. Single Pane Glass This is normally the least expensive glass to use in a sunroom. Although single pane panels are easy to install and although you may be tempted to use them based on cost, we don't recommend them for a sunroom. They do not block UV rays nor are they very energy efficient. Double Pane Glass: Double pane windows are a good option, especially if trying to extend your use year round. Double panes have inert gases between panes for energy efficiency and protect your furnishings from harmful UV rays. Triple Pane Glass: The power of panes! Three panes significantly reduce heat loss and have an R-value of 8 or 9 due to inert gases between the panes. 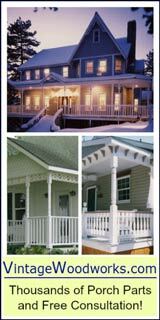 You should see lower utility bills; recommend these for any location but they are ideal for northern climates. Other benefits include blocking at least 96% of UV rays and they also are great for eliminating outside noise! Low-E Glass: Low emission glass windows are coated to prevent harmful UV rays from entering your sunroom and for keeping the heat in. Radiant heat from inside the sunroom in winter is reflected back inside and conversely, heat from the outside is reflected away. Single Solex Glass: Single sole glass has a green tint and is designed to prevent heat penetration into a sunroom. 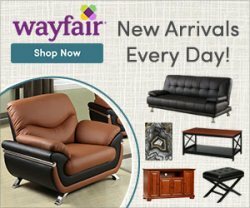 It also reflects ultraviolet rays which will help protect your skin, furnishings, and flooring. Disadvantages include cost (more expensive than other glass types) and it is only available in single pane. 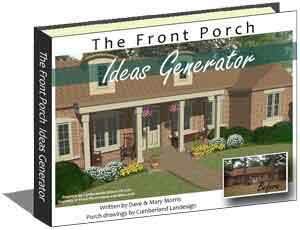 There are several products on the market for converting a screened porch to a sun room or three season room. 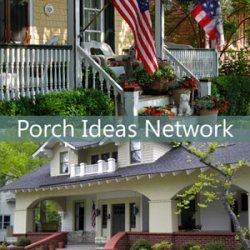 If you are contemplating converting your screened porch, we like the convenience and features of these screen porch windows from DIY Eze Breeze. 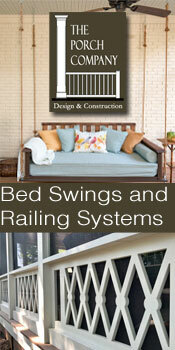 Sliding or four-panel screen porch windows are ideal, cost effective, and easy to operate and maintain. They are custom made to fit almost any opening. 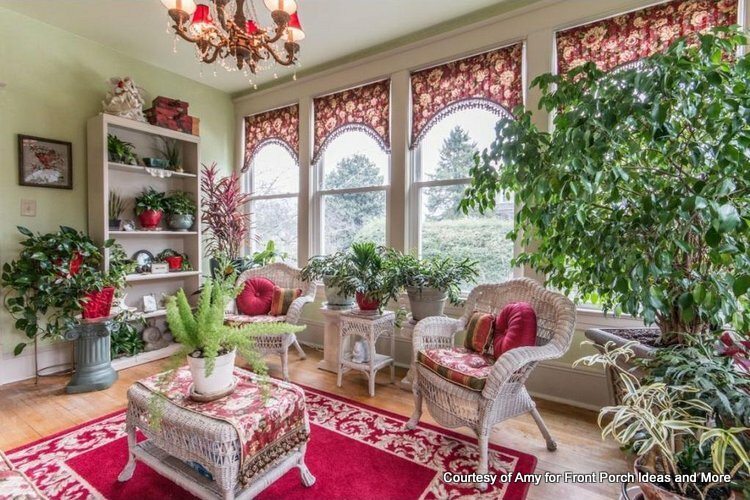 A significant advantage of these windows for a sunroom is that because of their unique design they can open to allow maximum air flow as a screened porch too! 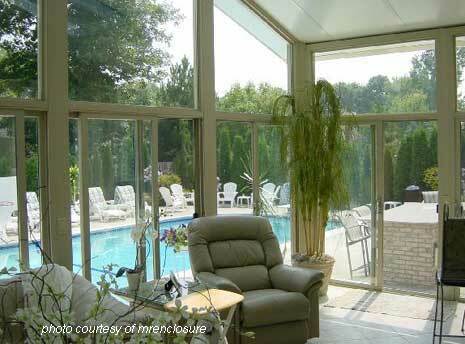 Sunroom kit windows range from single pane glass to acrylic panels like the ones in the photo below. (from SunPorch.com). As strong or stronger than glass, acrylic panels weigh lots less making them ideal windows for a sunroom on decks, patios, or porches. Because they won't break, acrylic panels may be ideal when children or pets are present. 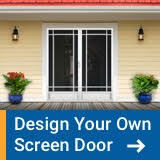 When choosing windows for a sunroom, consider combining the screen option. 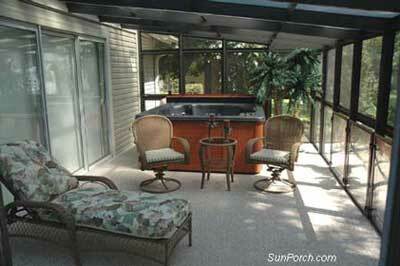 That way, you can easily open the windows and have a screened porch!